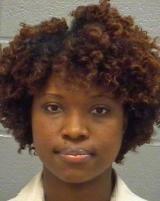 Georgia Public Defender, Alexia Dawn Davis, 31, has found herself facing a relatively rare charge for failing to take steps to return a diamond ring that she found in a parking lot. Davis is charged with theft of lost or mislaid property after she kept the ring for two weeks before taking it to the police in Augusta. The ring was found outside of a Cracker Barrel in the parking lot on February 7th. The ring belonged to Jane G. Prater, 62, who reported it missing on February 12th. The ring is worth about $10,500. When Davis found the ring, her companion went back into the restaurant and asked what she should do if she found a ring. The server suggested the manager but the woman said that she would keep the ring and call the police. No call was made. When the ring was reported missing, the sheriff recovered security surveillance footage and released it to the public on February 19th to try to identify the finder. That same day as the release of the security footage, Davis went to the police with the ring. They then charged her with theft of lost or mislaid property — a felony for any item worth more than $1,500. The question is one of intent and the meaning of “taking reasonable measures.” Here David does not appear to have taken measures for two weeks, but the law does not state a time period in which to act. The prosecutors are likely to argue that Davis returned the ring to the police not the woman once she knew the name of the woman — something she could have done at any time. Indeed, her companion reportedly said the police would be notified. Local prosecutors will now prosecute a local public defender in the case. The jury will have to determine intent. It is interesting that she is not arguing the most obvious defense that she is a busy litigator and never got around to taking the ring into police. The claim that she was waiting to “learn” the identity of the owner could break down in court if she took no steps to learn the identity but waited for it to occur spontaneously. It would be useful if she could show that she called the restaurant in the interim, but that key fact is not mentioned by her lawyers. What do you think? Was too weeks too long to wait in your view? “We are issuing this statement in response to calls and information that we have received regarding the Columbia County Sheriff’s Office statement about the law on Theft of Lost or Mislaid Property and the case involving our client Ms. Alexia Davis. It is my understanding that the Sheriff’s office has indicated that the law requires a person to make reasonable efforts to find the owner of the property and they arrested Ms. Davis because they feel that she did not make reasonable efforts to find the owner, and only turned it in when they posted the information about the lost ring online. The law states that “a person commits the offense of theft of lost or mislaid property when he comes into control of property that he knows or learns to have been lost or mislaid and appropriates the property to his own use without first taking reasonable measures to restore the property to the owner.” O.C.G.A. 16-8-6. Every word in a statute has meaning. The important part of the law that is not being discussed is that one must “appropriate the property to his own use” to commit the crime. Possession of the property is a separate element from the appropriation part, which means that mere possession of the property is not sufficient to constitute a crime when the person restores the property to the owner in its original state. Who wants an average citizen, or for example a young person, to think that if he/she finds something and leaves it in his/her locker or car for a week, and then someone posts an ad looking for the item, the person dare not turn it in to the owner because they then have to fear being arrested. That is why there is an appropriation to one’s own use requirement. The taking reasonable measures to restore it to the owner is a defense to the appropriation element, and is not necessary when the owner actually gets their property back as soon as the person becomes aware of his/her identity. No crime has occurred. The law should encourage people to come forward and do the right thing and to not feel afraid. The statute does not define what is reasonable. The statute does not require a person to turn anything into the Sheriff’s office, and it does not set a time limit. The warrant in this case leaves out the critical fact that the ring was restored to the owner and had not been altered, changed, sold or worn. Ms. Davis was offered money for the ring but did not sell it. She wanted to know if it was real only. If she had sold the ring, like some people may have done when given the opportunity, then this would be a crime because she would have appropriated it for her own use. She talked to a Richmond County jailer about finding lost property and was told she should check the newspaper, lost and found ads, and not advertise because she would get all kinds of people calling her. What the jailer said would happen actually occurred. When Columbia County posted that the ring was lost at the Cracker Barrel, she then knew who the owner was and returned it. In your case ignorance and disingenuousness unchained. It is ignorant from you because it is a meme you repeat time and again when people bring racism into the discussion. Understand, ignorance as opposed to stupidity. Stupidity, which you don’t suffer from, is the inability to understand concepts and a lack of the kind of general information available to the average person. Ignorance, however, is the inability to process information that falls outside of previous beliefs, or in other words the lack of an open mind. This “white guilt” thing isn’t prejudice on your part since you avowedly are tight with people of color. What it is though is you letting your political philosophy, libertarian I presume, get in the way of evidence. From a libertarian point of view we can all equally succeed based on our own merits if we try hard enough. That some don’t clearly succeed is thus their responsibility, not the fault of society. Since your whole outlook on the world is imbued with this view, then of course being Black has nothing to do with this woman’s situation. That is ignorant and a putative refutation with no evidence behind it. Notice though that I also said you were being disingenuous. Inherent in your statement, as gleaned from all the comments I’ve seen from you here on politics, is your stereotyping of those you see as “Liberals”. I won’t even go into the incorrectness of your classification of may people here in that simplistic manner, because frankly your commentary has never been one that brings facts to bear, so the effort isn’t worth it. However, it doesn’t escape anyone that you consider this a “jab” at those you classify this way. The “jab”, however, is not a direct one, though in your case it seems heartfelt. It is a disingenuous one done with the belief that it doesn’t leave you open to return fire since you could always claim misunderstanding of your words. You present yourself here as a open and tolerant soul, but I think you essentially are a very angry man, without the honesty, or the skills to present your anger towards those you consider “liberals” cohesively and directly. I dont think this is white guilt. That PD is a few years older than my daughter, I would not want her going to jail or having a record for something like this. Although I would give her a stern talking to. I´m with Cameron – especially on numbers 1 and 2…. Yet another tale about life’s idiots and stupid people. Where would we be without them. Idiot 1. Guy who wastes 10K on a ring. Idiot 2. Wife who wears a 10k ring and is so stupid she loses it. Idiot 3. Sheriff who decides to take the case of lost and found “theft” to the prosecutor. Idiot 4. Prosecutor who decides to waste everyone’s time, money and scarce court resources by prosecuting a lost and found case. Idiot 5. Trained lawyer and PD, Alexia Davis who did not immediately hand the ring into the local police with a written record of the lodgement. Duh – she is a lawyer and is supposed to know the law. In this case all she had to do was look up a statute. But then she does not look like the brightest candle on the cake and her actions suggest she certainly is not. Enough said – until Jonathan”s next stupid tale of America’s stupid people. Not only do I think that’s not a natural reading of the statute’s language, but your interpretation also makes the “appropriate the property to [her] own use” requirement surplusage, considering that possession is already required by the requirement that the alleged perp “comes into control of property.” A basic canon of statutory construction is that the legislature intends all words in the statute to have meaning. Finally, your interpretation that possession is sufficient presents a real problem of either leading to absurd results or requires an extra-statutory judicial gloss. By this, if possession equals appropriation for one’s own use, how long must one have possession to trigger criminal liability? If mere possession is enough, then the second she picked up the ring in the parking lot, she was guilty of theft under your reading of the statute. Of course, that’s absurd. So, to remedy that problem, you’ll need the judiciary to read some sort of time requirement into the statute, something like you can possess it for a “reasonable amount of time” without taking measures to find the owner before liability arises. But, that’s problematic because (1) we should avoid whenever possible statutory interpretations that require the judiciary to invent extra language to save the statute from absurdity and (2) our new, judicially improved statute is still unnecessarily vague, which should be particularly avoided with felony criminal provisions. What Gene and Mespo have said more than once. No mens rea to steal the ring. By the way, why did it take the owner 5 days to realize a valuable ring was missing? you are a genius, that is exactly how it would go with me. Although I would have given the manager my name and phone number but then I am a male over 40. It may have been a crime if she had not turned it in at the time of the news report. At that point, she had knowledge and only a person with the intent to confiscate the ring would have held onto it thereafter. The woman’s only active response in this matter was to take action to get the ring to the owner at the first appropriate and necessary moment in the scenario. The only true evidence, or let’s say determinative evidence, is her action to turn it in — there is nothing else in the case that so critically indicates the woman’s intent. I agree that prior to that point she was not guilty of anything because she did nothing to demonstrate an intention to convert it to her own use. I think it would be a travesty to label a young woman who has a promising future with a bogus felony conviction under these innocuous circumstances.